IF YOU CANNOT FIND just the right piece of artwork in our standard art library - you can upload your own artwork, your own logo or your own photo images for the sign that you are designing. Our web based design tools are not set up to handle large files – so a small ‘transparent png’ file works best and can be sized and positioned on your sign just like one of our standard artworks. If you upload a jpg instead of a transparent png the image will be surrounded by a white rectangle. We can later remove that for you when we create final your production drawing. If you do not have an image of your own to upload, you can try to find a non-copyrighted image on the internet and upload it onto your sign. Once again a small ‘transparent png’ file will work best. The ability to upload internet images gives you a wide selection of available art options for your sign. But we know there are still some projects where original custom artwork is required. Danthonia’s artists are professionals and our clients have come to us with a wide range of requests: starfish wearing sunglasses, portraits of a favourite cat, replicas of an historic house or car. If you need this kind of creative original art for your sign then purchase this Custom Artwork Package and describe your project assignment in the comments field at check out. 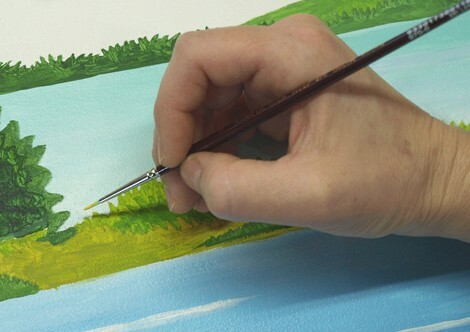 An original custom artwork will be created for you by one of our artists. It will include one design concept, and up to two revisions.